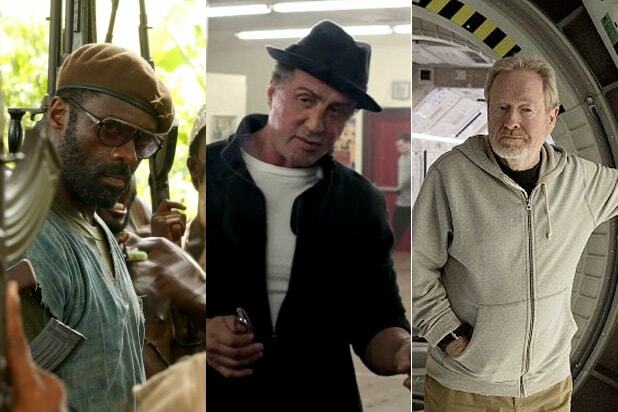 Oscars: Biggest Box Office Bump for Best Picture Noms? 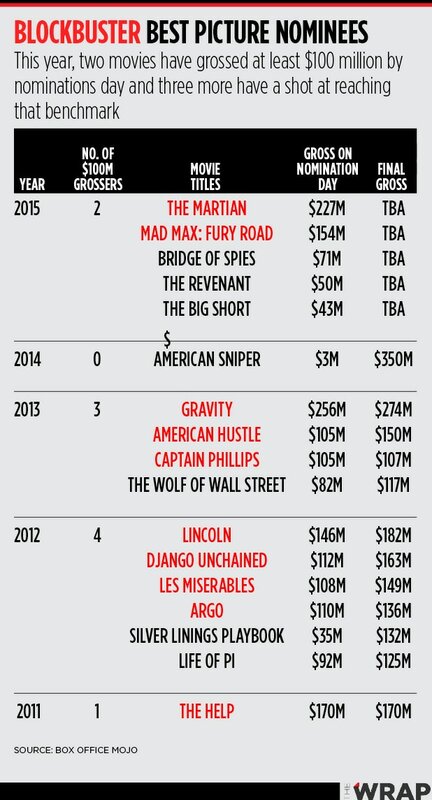 Oscars 2016: Which Best Picture Nominees Will Get Biggest Box Office Bump? The independent films “Brooklyn,” “Spotlight” and “Room” stand to gain the most at the box office from their Best Picture Oscar nominations Thursday. The two nominated films that have grossed the most so far, Fox’s “The Martian” and Warner Bros.’ “Mad Max: Fury Road,” are out on DVD and mainly played out in theaters, though Fox said Thursday it was considering a second theatrical run for the Matt Damon space epic. Paramount is biding its time with “The Big Short” and will drop the film’s screen count from more than 2,500 to 1,765 this weekend, its fourth in wide release. Look for a more aggressive push in the coming weeks. With $43 million banked already, “The Big Short” could hit $100 million if everything breaks right. The same is true of “Bridge of Spies,” which has grossed $70 million since opening in mid-October, though Disney was keeping its cards close to the vest on Thursday about widening the release. Fox Searchlight is doubling the screen count on “Brooklyn” to 681 theaters this weekend, while Open Road will be aggressively expanding “Spotlight,” from 368 to 973 locations. “Brooklyn,” starring Saoirse Ronan, has taken in $23 million since opening October 4, while writer-director Tom McCarthy’s “Spotlight” is at $29 million after opening on November 4. A24 has plenty of room to grow with “Room,” which has grossed just $5 million and never been in more than the 198 theaters it played in December. The movie’s star Brie Larson is a Best Actress finalist, and director Lenny Abrahamson was also a surprise choice, which should help it build some buzz. A surprise nomination for Charlotte Rampling has IFC Films scrambling to find a few more screens for “45 Years,” which is in its third week of a limited release. It will be in 15 theaters and then look to add about 60 more the next weekend, distribution chief Mark Boxer told TheWrap.